I don’t know about you but I LOVE back to school shopping! 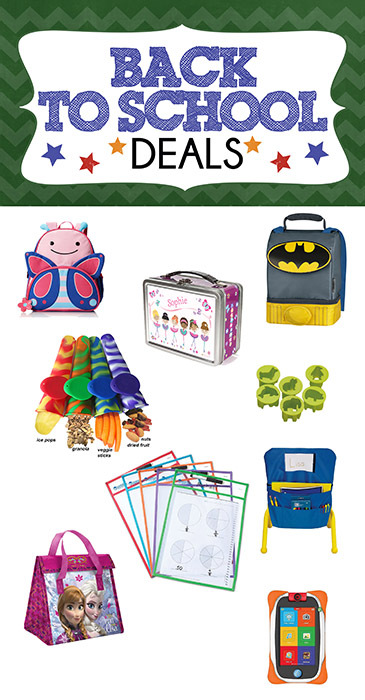 Here are some great deals I’ve come across and just some things that are too cool to pass up (like the Batman lunch box cape and all!). Skip Hop Zoo Backpack, Pink Butterfly, 3 Years Plus – The most adorable lunch box I have ever seen! And there’s so many other animals to choose from if you’re not a butterfly lover. Batman Dual-Compartment Lunch Kit by Thermos Insulated – My son will have this lunch box for school, how cool is this? Slim Snack:SNACK BAG & POPSICLE ALL IN ONE! Bring Snacks to Work, School, Gym & Make Blender Pops! (Pack of 4) – These could come in handy for not just school lunches but for work. A snack bag AND a popsicle. This is brilliant! 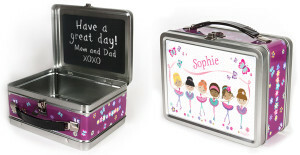 Personalized Lunch Boxes in a variety of styles from ISEEME. Save $10 on your order of $40 or more using the code UNIQUE. – I love personalized items such as this. And there’s so many other themes, the chalk board inside gives it an even cuter touch. Chuboos Vegetable Cutter – Because who wouldn’t want to eat their veggies if they were cut into a cute dolphins shape! 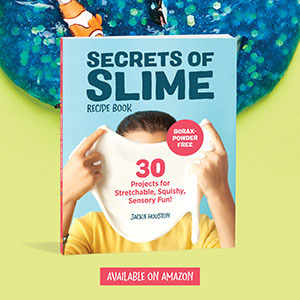 Make school lunches fun this year. Learning Resources Write And Wipe Pockets – These are awesome and can come in handy for learning to write! Disney’s Frozen Insulated Lunch Bag – For the little Frozen fans! Nasco Polyester ChairMate,Grades K – 5 – A fun way to organize and it clears your desk off for more space! Fuhu Nabi 5″ Nick Jr. Edition Tablet – There are thousands of lessons covering over 1,500 key, core fundamentals in math, reading and writing. And it gives you an insight to your child’s proficiency levels and readiness for academic achievement. We love the educational apps on here and my son has learned so much with it! Hands down our favorite children’s learning tablet! Those are some really great finds! I’m an adult, and I would use the Batman lunch box. Lunch boxes and back packs sure have came a long way since my kids were in school. I see SO many adorable designs nowadays. My grandson just turned 1 but once he’s in school it will be interesting to see how things have changed by then. Wish i had that backpack when i was younger? Those veggie cutters are calling my name! Love the Write & Wipe Pockets! What a great idea! Love that batman lunch box! So cute. Great deals! That Batman lunch box pulled me in. LOVE the cape! Our boys would be in heaven!!! Those Slim Snacks are genius! I need some of those for my purse. I love the Batman one, that’d be great for my son. I am sure the Frozen one is going to be popular. Thank you for sharing these great deals! I’m all for Batman! Love the batman lunch box and snack/Popsicle bags! Great list, I love the personalized lunch box… that would probably save us a few trips to the lost and found! 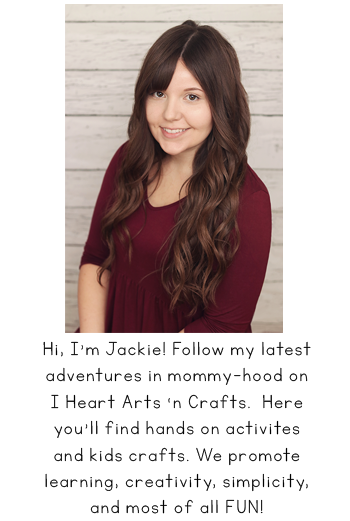 Such a cute blog!!! My boys would go crazy over that batman lunch box.